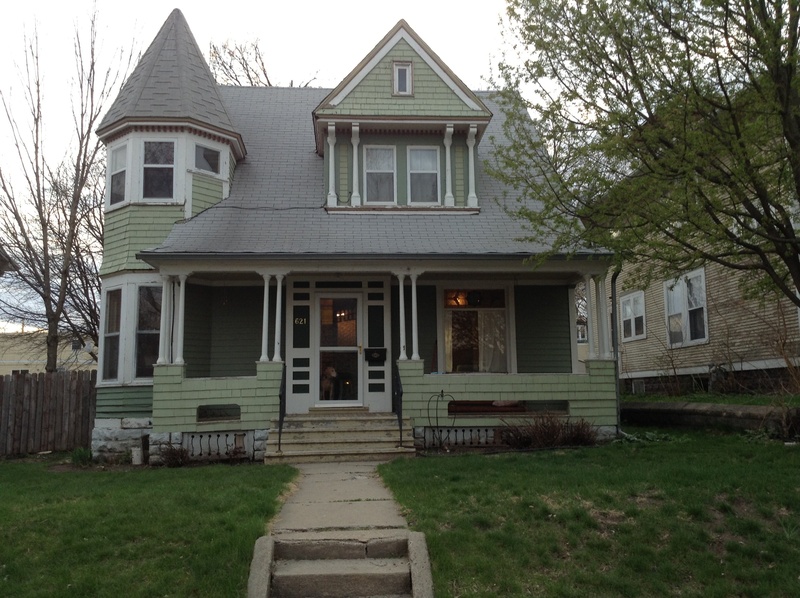 This is our house about 1.5 years ago. The steps and walkway up to the house were original (or at least very, very old) and beginning to crumble away. 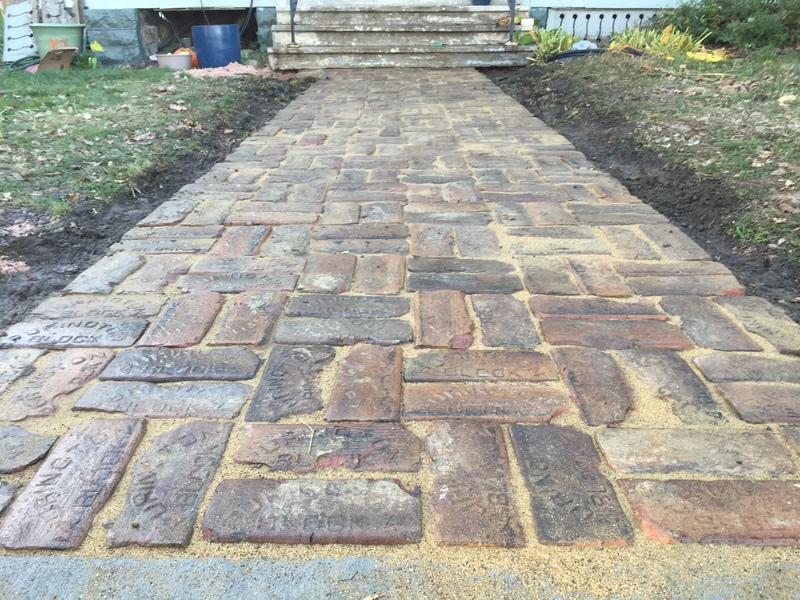 A month or so ago, we poured new concrete steps, and this weekend, Lance laid the new walkway up to the house. 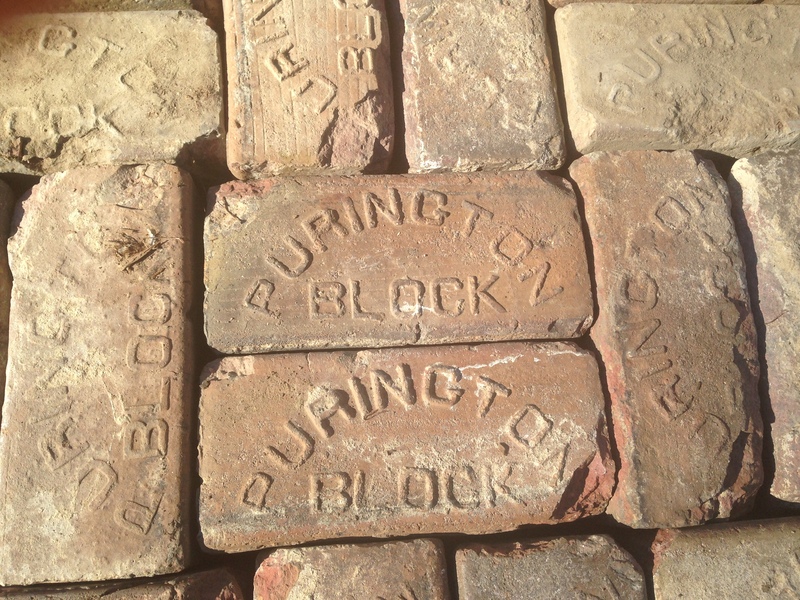 Over a year ago, Lance (who owns a landscape design/build company) was at a job in Sioux City and discovered that the contractor planned to throw away about 20 pallets of Purington Block pavers. They were from the floor of the old Sioux City Battery Building. So of course, we paid a semi to deliver them to us in Sioux Falls, where they have been in storage ever since. 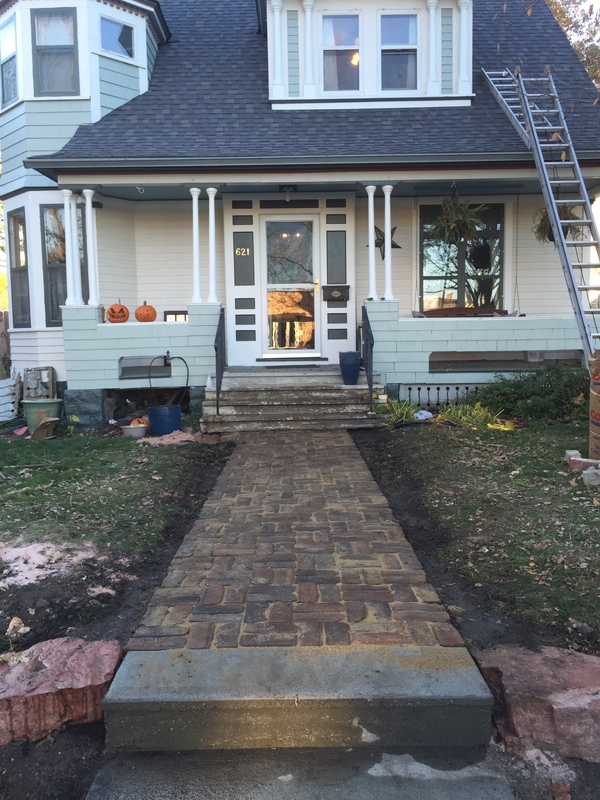 The semi cost us some money, but the pavers were free! 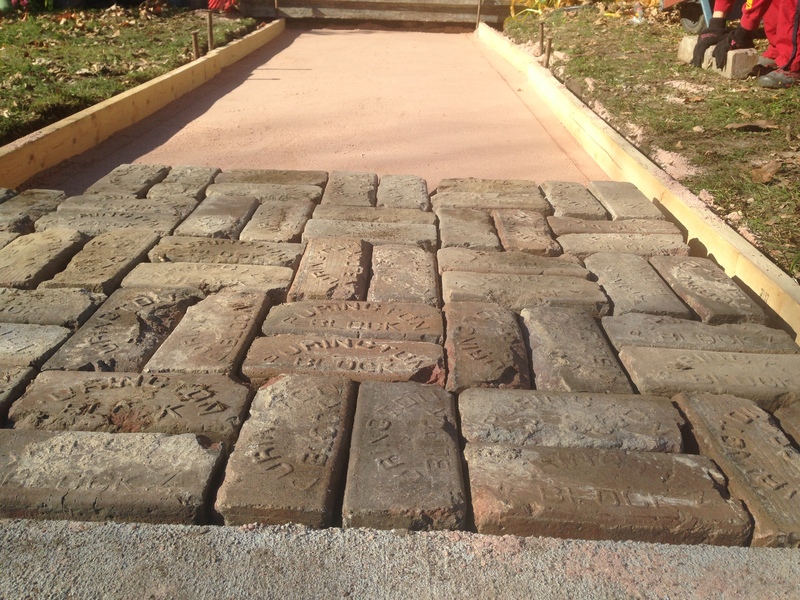 Now we have a walkway that is about as old as our house. 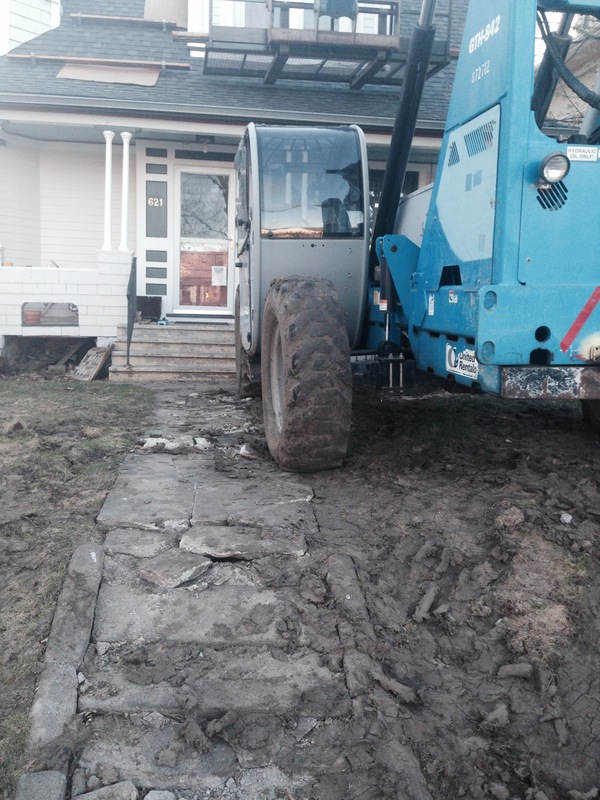 Some of the old concrete was in good shape around the house towards the turret, and so we are going to keep that. It is beautiful in it’s own way, actually. 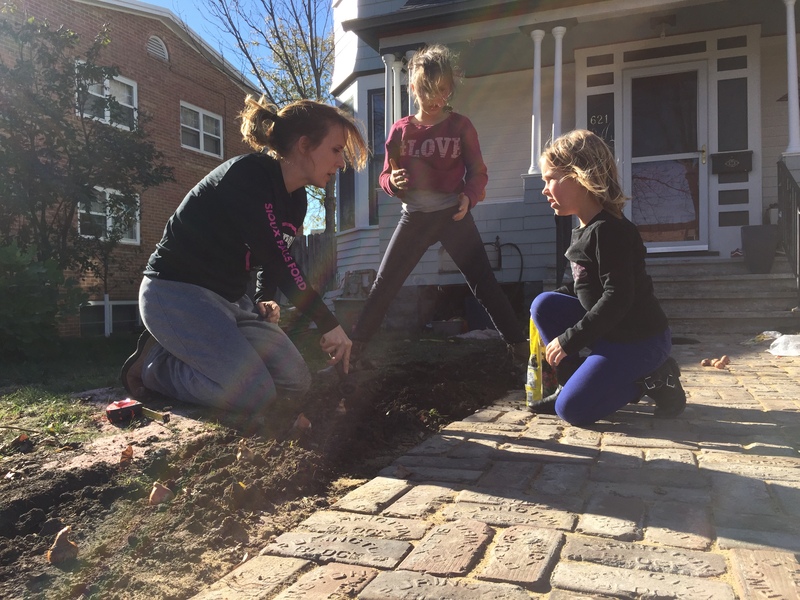 And so today, we planted 50 yellow tulip and daffodil bulbs.